Thankfully for Mom times sure have changed. 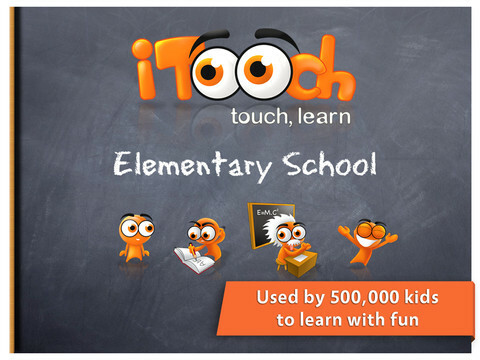 We’ve used and reviewed more than a handful of kids’ edu-apps and iTooch Elementary School beats the others in the App Store by a few dinosaur tails. 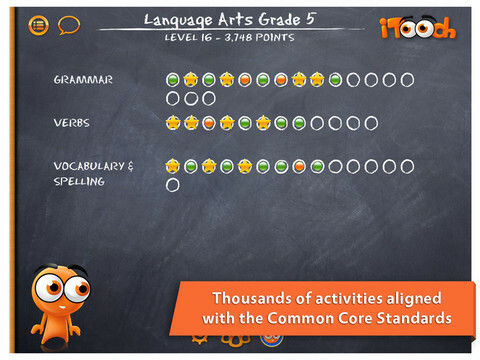 Covering math, science, and language arts at the elementary school level – that’s third, fourth, and fifth grade – there are over 4,000 questions. That’s a lot of learning. One of the nicest features of this app is that students can try the titles before parents commit to buying them at $4.99 per category and age range. This is especially nice because learning styles vary greatly across the board, and while some kids may love using the iPad as a part of their education, other kids may not. However, the user interface makes navigating this app a breeze, especially for the 7-10 age group that is probably quite familiar with the technology. There aren’t any school-aged kids in this house yet so I took it upon myself, in the name of technological science, to explore iTooch on my own. To say I was impressed is an understatement – there is so much great content that is presented in age-appropriate formats. There aren’t a lot of crazy characters bouncing around or distracting sound effects; the presentation is straightforward and conducive to learning. It’s a testament to the design and development to the app that it’s available for bulk purchase to be used in classrooms. 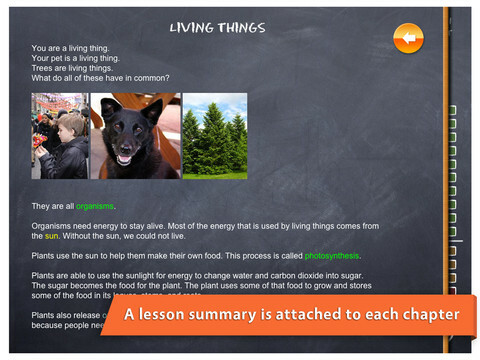 Along with being a handy tool to fill in learning gaps the app would also shine within the framework of alternative learning environments (like homeschooling).